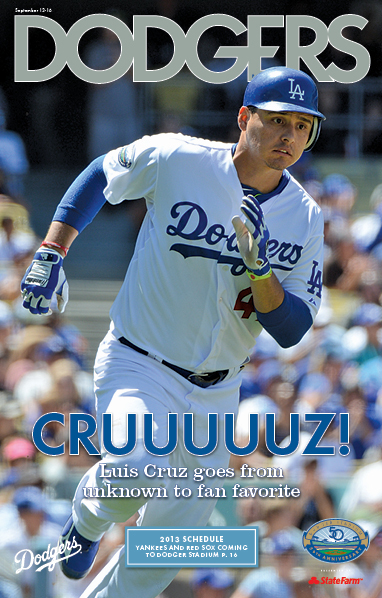 The 11th edition of Dodgers Playbill chronicles Luis Cruz’s rise from non-roster Spring Training invitee to starting third baseman. This edition also includes the complete 2013 schedule and promotes highlights like the Yankees and Red Sox coming to Dodger Stadium. Also inside is information on tickets and upcoming promotions. Fans receive the Dodgers Playbill when they enter the Dodger Stadium parking gates.